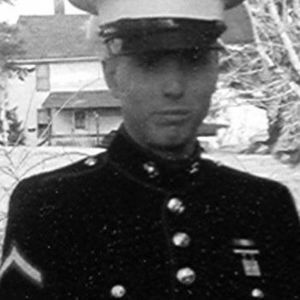 Corporal Stephen R. Bixler, USMC, 20, of Suffield, beloved son of Richard S. and Linda (Ridel) Bixler, was killed in action in the Al Anbar Province, Iraq, Thursday (May 4, 2006). He was conducting patrols against enemy forces in support of Operation Iraqi Freedom. This was Corporal Bixlers second tour in Iraq. Corporal Bixler was a member of the 2nd Reconnaissance Battalion, 2nd Marine Division, 2nd Marine Expeditionary Force based in Camp Lejeune, NC. Corporal Bixler enlisted in the U.S. Marine Corps in July of 2003. Corporal Bixler applied for and was selected as a member of the 2nd Reconnaissance Battalion as a result of his exceptional military skills, fortitude, drive and abilities. His decorations include: Sea Service Deployment Ribbon (2nd award), Humanitarian Service Medal, Global War on Terrorism Medal, Global War on Terrorism Expeditionary Medal, Iraq Campaign Medal, Armed Forces Expeditionary Medal, National Defense Service Medal, Combat Action Ribbon (2nd award) and Purple Heart Medal. Stephen was born in Hartford on August 17, 1985, and was a lifelong resident of Suffield, graduating from Suffield High School with the class of 2003. Stephen was vigorously involved in high school athletics programs and was a member of the indoor/outdoor track team as well as the cross-country team. Stephen loved the outdoors and exemplified this by demonstrating his skills as a Boy Scout, culminating in his designation as an Eagle Scout in May of 2003. Stephen was exceptional at snowboarding and had just taken up surfing as well as spending time off road four wheeling in his Jeep. Stephen most loved spending time at home with his family and friends. He enjoyed a good movie, telling stories and will be remembered as a quiet, happy, dedicated and hard-working man who had high goals and worked exceptionally hard to achieve them. A loving son, brother, grandson, nephew and friend, Stephen will be greatly missed by all who knew him. In addition to his parents, Richard and Linda, he leaves his twin sister, Sandra L. Bixler of Suffield; grandmothers Gloria Ridel of Suffield and Marjorie Bixler of East Windsor, his aunts and uncles, Patricia and Steven Brozek of Stafford, Dennis and Ann Bixler of FL, Virginia Bixler of Ashby MA, Donald and Nina Bixler of Windsor Locks, Daniel Bixler of Bloomington, IN; his cousins, Laura, Christine, Christopher, Matthew, Amy, and Cindy; his goddaughter, Cecelia; and many other family and friends. He was predeceased by his grandfathers, Lawrence Ridel Sr., and Roy Bixler; and his uncle and godfather, Larry Ridel Jr. A Mass of Christian Burial will be held on Wednesday (May 17th) 10 a.m. at Sacred Heart Church, 446 Mountain Road, Suffield. Corporal Bixler will be buried on Thursday (May 18th) at 2 p.m., with full military honors at Arlington National Cemetery, Arlington VA. His family will receive friends on Tuesday from 3-8 p.m. at the Nicholson & Carmon Funeral Home 443 East Street (Rt. 159), Suffield. In lieu of flowers memorial donations may be made to: Mary's Place, A Center for Grieving Children and Families, 6 Poquonock Avenue, Windsor CT 06095-2507 or the Corporal Stephen R. Bixler Memorial Fund c/o First National Bank of Suffield, Attn: Anne Rossi, P.O. Box 96 Suffield, CT 06078.